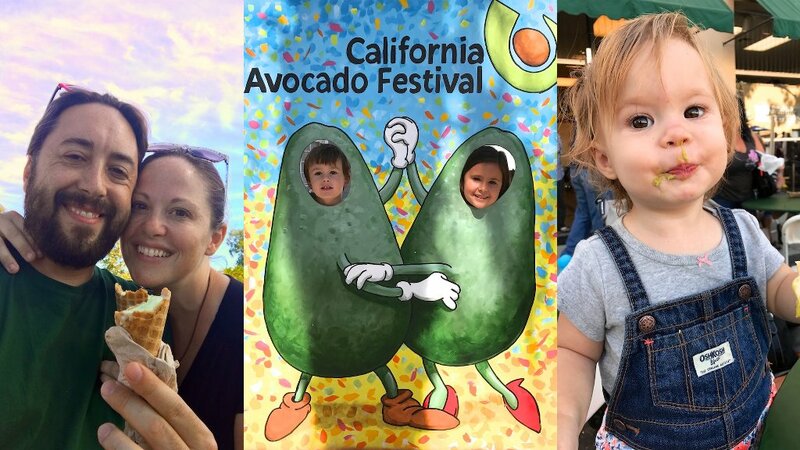 Last weekend, the Doctor and the Dad packed up the car, buckled up the kids and headed up the coast for our absolute, no-doubt-about-it favorite event of the year: The California Avocado Festival. For three days, our family consumed as much of the green stuff as possible, including fried avocado wedges, avocado ice cream, avocado whoopie pies, avocado beer (Mom and Dad only, of course), and chips with loads of delicious dip scooped straight out of the World’s Largest Vat of Guacamole. It was our 13th Avocado Festival in a row (and the 7th, 4th and 2nd for each of our kids), and it was just as fun as ever. Maybe even more so, really. That’s because this year, our big kids were old enough to not only remember, but also look forward to, this fun family tradition. We talked about it for weeks beforehand, which even led to some amazing and unexpected artwork! Wondering why we’re telling you so much about the festival? It’s not just to gloat about all the guacamole we ate that you totally missed out on. It’s to emphasize how very special and important family traditions are – especially for your kids. Your regular routines and rituals really do define your family. Daily routines like sitting down to dinner together (or maybe breakfast if mornings are better for you) keep your family connected. And your larger, less frequent traditions are serious memory-makers for your kids. These are the things your children will look back on when they reminisce about their childhoods. And since we all want our kids’ minds to be absolutely full of fond family memories, it’s really important to be purposeful about creating – and keeping – family traditions. Decades of child development research support the idea that keeping up regular traditions keeps your family healthy and happy. There’s nothing better than the feeling of togetherness and belonging that comes from doing special stuff together as a family. And this is absolutely not lost on your kids. 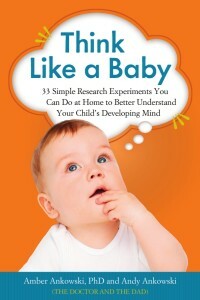 We know life can get ridiculously hectic during these child-raising years, so it’s easy to let these things slide. Your sit-down family dinners might get replaced with meals eaten on the go between extracurricular obligations. Less frequent traditions might get overlooked altogether or under-prioritized among all the other stuff that comes up. But we urge you not to let this happen. Your family traditions are just too important. They don’t have to be elaborate or expensive. They just have to be maintained. So take a sec to think about your own family’s traditions. What cherished activities keep you connected and make your family a little bit special? 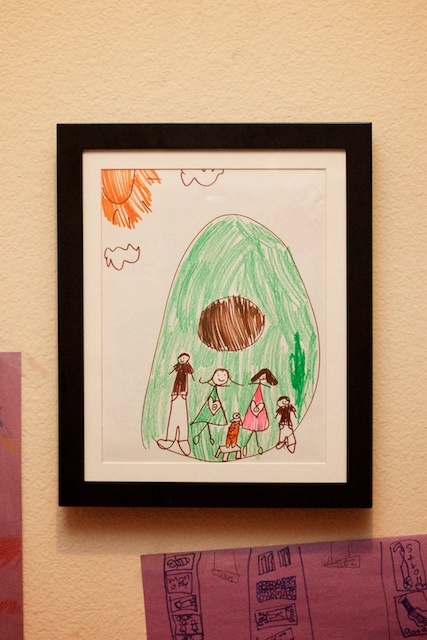 What’s your family’s Avocado Festival? Leave us a comment – we’d love to hear about it! Do you know how to save a choking child? The Second Annual Doctor+Dad Family Awards! Happy Mammary-al Day: One dad’s attempt to keep his baby breastfeeding – when mom went out of town for the weekend The Third Annual Doctor+Dad Family Awards!